The Bookstore Plus Hosts Author Signing Event with Paul Seward on Saturday, June 8th, 2018, from 1:00-3:00 PM. Join The Bookstore Plus for an exciting book event! 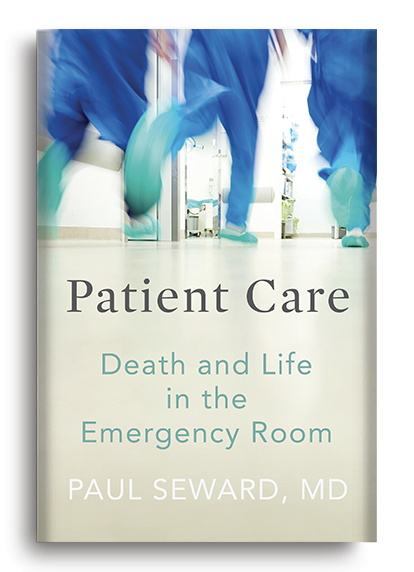 Paul will be at The Bookstore Plus to autograph copies of his book "Patient Care: Death and Life in the Emergency Room." He will be in the store to discuss and personalize the book. ABOUT THE BOOK: Told in fast-paced, stand-alone chapters that recall unforgettable medical cases, Patient Care offers the fascination of medical mysteries, wrapped in the drama of living and dying. A snap judgment about a child nearly kills him, and a priest who may be having a heart attack refuses treatment. An asthmatic man develops air bubbles in his shoulders, and a pharmacist is haunted by a decision he makes. But the book goes beyond these stories. Each chapter explores ethical questions that remind us of the full humanity of patients, nurses, coroners, pharmacists, and, of course, doctors. How do they care for strangers in their moments of crisis? How do they care for themselves? Dr. Seward rejects doctor-as-God narratives to write frankly about moments of failure, and champions the role of his colleagues in health care. And, for all the moral dilemmas here, there is plenty of wit and humor, too. (See the patient who punches our doctor.) Readers of Patient Carewill find themselves thinking along with Dr. Seward: "What is the right thing to do? What would I do?"